posted by Robert J. Carmack -#blues2jazzguy In an era where the only thing that counts is Butts in the seat and the cling-clang of a CASH REGISTER while musicians struggle to play a solo over the YAMMERIN’ OF PSUEDO-HIPSTERS TALKING ABOUT ANY AND ALL THINGS EXCEPT THE MUSIC?? So what happens is, most musicians just “fax it in” and record mediocre at best dribble, then argue about what not to call it. 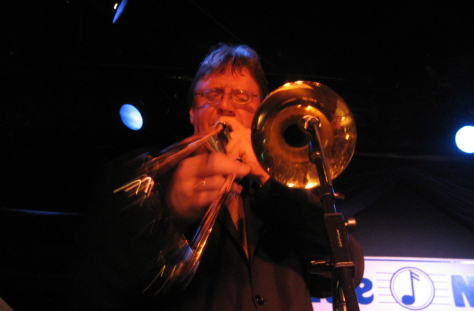 Then, rarely there are Jazz musicians like Conrad Herwig whose respect for the music and, those that played it, never wavers in his quest to continue the legacy of greatness. One not only feels that in his recording sessions but, also on the bandstand whenever he appears around the world.